We love sharing our passions and ART is certainly a big part of what makes us at ArtInspired happy! Our fun class featured instruction with artist Sierra Hauser who taught the class how to paint “Winter Moon”. Our class was a great mix of adults and children who added their own signature feel to their painting. 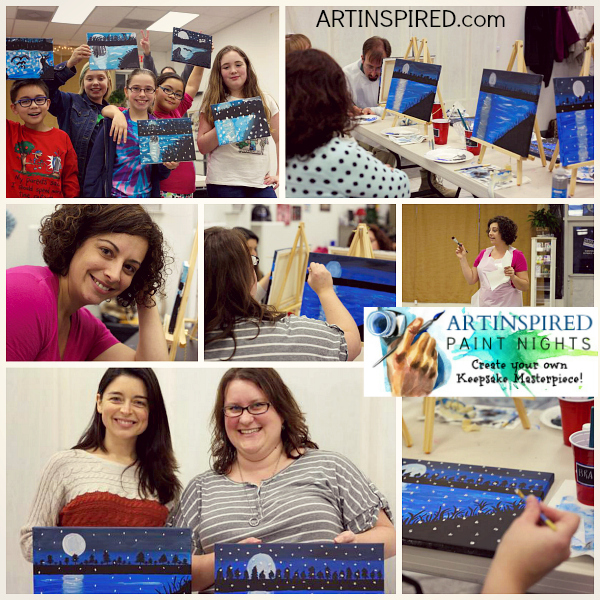 ARTINSPIRED PAINT NIGHTS: Create your own Keepsake Masterpiece! We are located in Newport News with some advance classes at our private studio in Kiln Creek (Yorktown). Call us if you need assistance at 757-768-9033. Next Post PILOXING gives a Powerful Punch!